When a tooth is infected, it usually requires root canal treatment therapy. The root canal procedure removes the infected pulp inside the tooth. The empty space is then filled with an inert substance and then sealed to prevent further infection. Despite its reputation, the root canal procedure is usually no more painful than getting a filling. As with a filling, the dentist will numb the area so you don’t feel any discomfort. Once the procedure is complete, a crown is made to cover the remaining tooth and protect it from further damage. The crown can be made of many materials. Ceramic and ceramic-covered metal are two options that provide a realistic restoration. There are a few ways dentists determine that you need a root canal. Pain is the most obvious symptom of infection. Since the pulp is trapped inside the tooth and cannot swell, the pain becomes intense as the root ends up cutting off its own blood supply. An abscess may result as decaying tissue and bacteria leak out of the bottom of the tooth. Sometimes, the type of pain you feel is the tipoff that it’s time for a root canal. Extreme sensitivity to cold is a hallmark sign of infection or the death of the pulp. In fact, some dentists specifically test for this sensitivity. 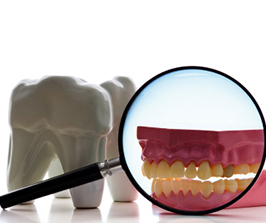 The reasons for infection in, or death of, the pulp of the tooth vary. Usually, the conditions are caused by decay getting to the root from a large cavity. Cracks in the tooth can also allow bacteria to reach the interior. Sometimes, the cause is unknown. In any case, a root canal will almost always save the tooth if good oral hygiene is practiced. The procedure can be done in a fairly short time, and with modern anesthetic, it is no more uncomfortable than getting a filling. If you need a root canal, there is no reason to delay. You’ll love being pain free and regaining the full use of your teeth. 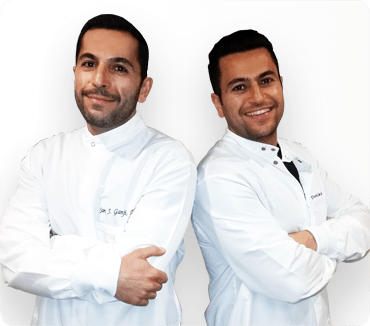 Contact us today to find out more about our root canal options in Los Angeles, Carson and Lomita.